A drawing room in the Duke's palace. The Duke, having discovered that Gilda has been taken, but not by whom, rails against her abductors and vows revenge. 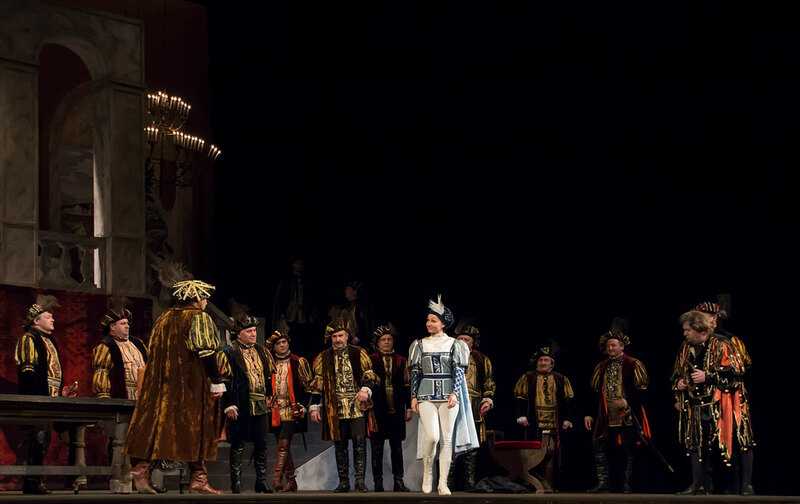 Marullo and the others arrive with the news that Rigoletto's mistress has been kidnapped. The Duke, amused, asks them to tell him how it was done, but as they do so, he realizes that it was Gilda who was kidnapped. He is overjoyed to learn that they have brought her to his own palace and runs off to see her. Meanwhile, Rigoletto shuffles in, singing with repressed grief. The courtiers pretend to feel sorry for him, and ask him what's new. As he answers sarcastically, he looks around for clues to where Gilda might be. He finds a handkerchief, but it is not hers. When he asks about the Duke, they say that he is sleeping. Just then a page enters with a message from the Duchess. The courtiers firmly turn him away, first saying that he's out hunting, then that he can't see anyone right now. 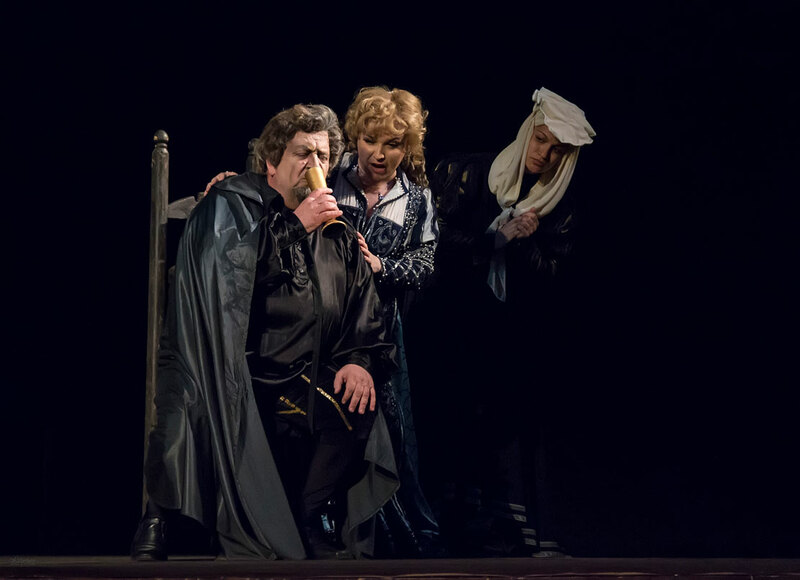 Rigoletto realizes that Gilda is with the Duke. The courtiers mock him for losing his mistress, but he reveals that the girl is his daughter. He tries to run into the other room, but they block him. He threatens them, but to no avail. Then he begs for their pity, but they ignore him. Gilda rushes in, weeping for shame. 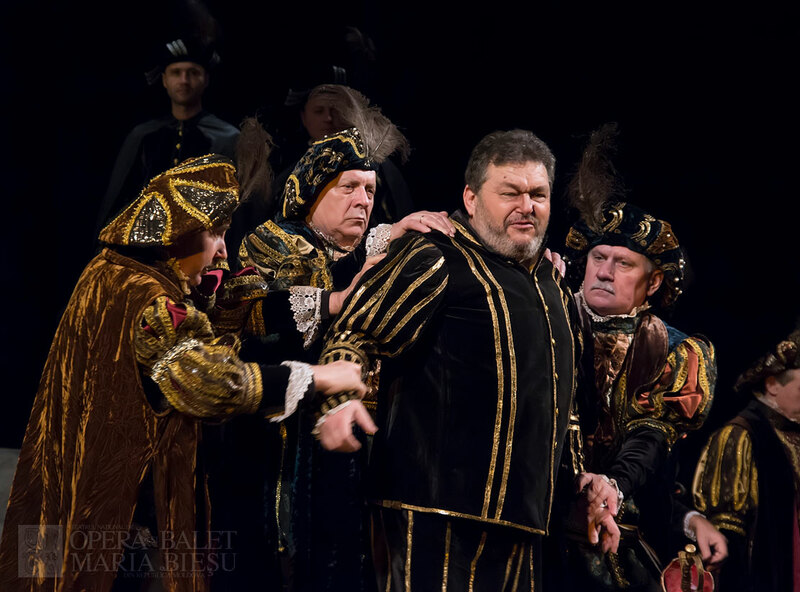 Rigoletto orders the courtiers to leave. They do so, but plan to stay nearby to watch him. Gilda tells her father about how she saw a handsome young student at church and fell in love with him at first sight; how he suddenly appeared to declare his love; and how she was abducted soon after. 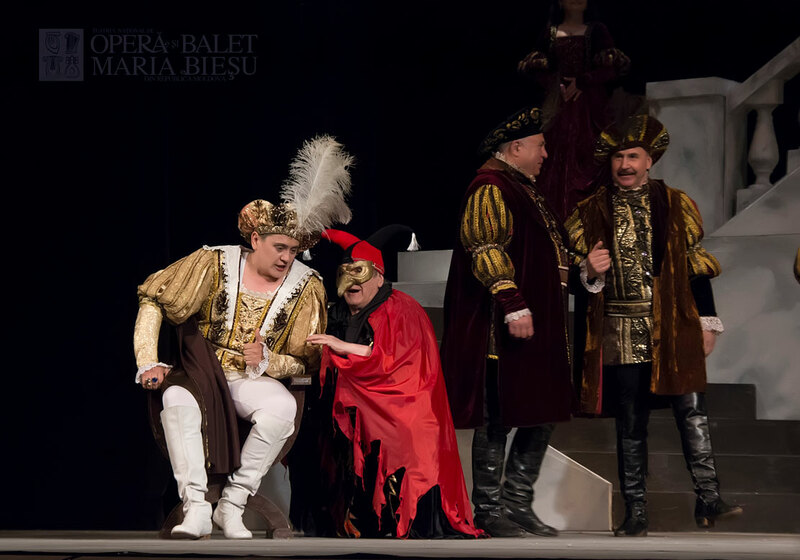 Rigoletto consoles her and says they can leave after he does what he has to do. Monterone and his guards pass through on the way to prison. He addresses the Duke's portrait on the wall, saying that his curse was in vain. 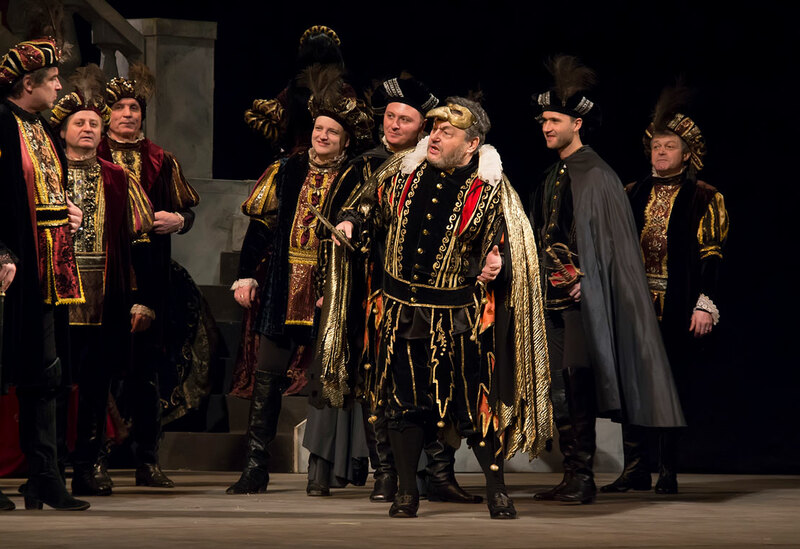 As Monterone leaves, Rigoletto swears that he will be avenged. He ignores Gilda's pleas to forgive the Duke, for she loves him in spite of his betrayal. 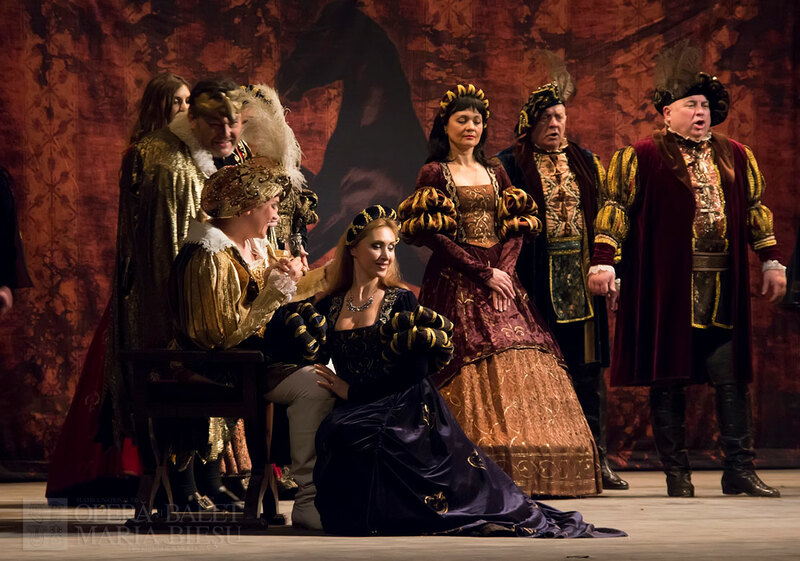 On the banks of the Mincio River, Rigoletto takes Gilda in the vicinity of Sparafucile's tavern, where the Duke in a new disguise is planning on seducing Maddalena, the cut-throat's sister. The Duke's new song leaves no doubt about his low opinion of women. Even Gilda, following the scene through a chink in the wall, realises how dishonest the Duke is, but remains in love with him regardless. The Duke's effusions, Maddalena's superficial sentiments, Gilda's consternation and Rigoletto's anger unite in a quartet. 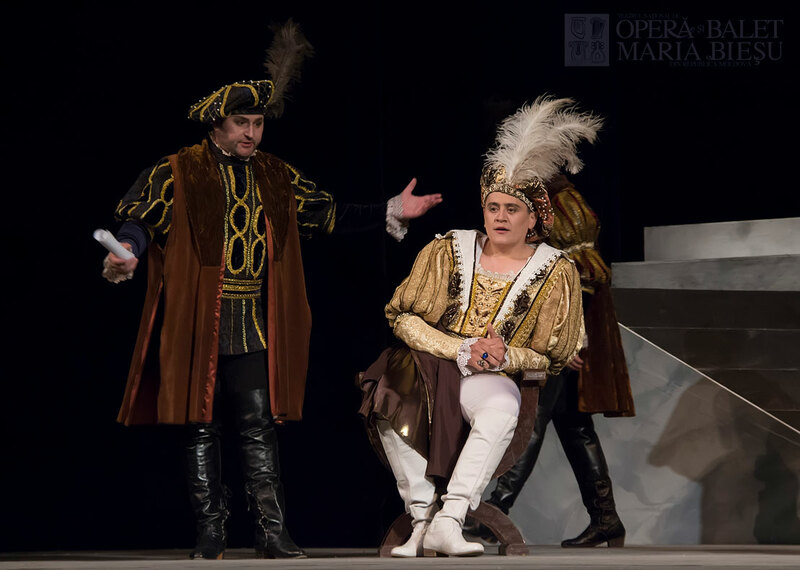 Rigoletto hires Sparafucile to take out his revenge. This is his plan: after sending his daughter to Verona, he will come back at midnight and himself throw the sack into which Sparafucile will have put the body of the Duke into the river. However, as soon as her father leaves, Gilda goes back to her eavesdropping and hears Maddalena convince Sparafucile to kill the first person who comes into the tavern instead of the Duke. While outside the storm rages, Gilda offers herself to the sacrifice, and, unrecognised in the darkness, enters the tavern where she knows that Sparafucile's dagger awaits her. At midnight Rigoletto rejoices as he gathers up the sack and gets ready to throw it in the river, when in the distance he hears the song of the Duke. Incredulous, he opens the sack to discover his dying daughter. 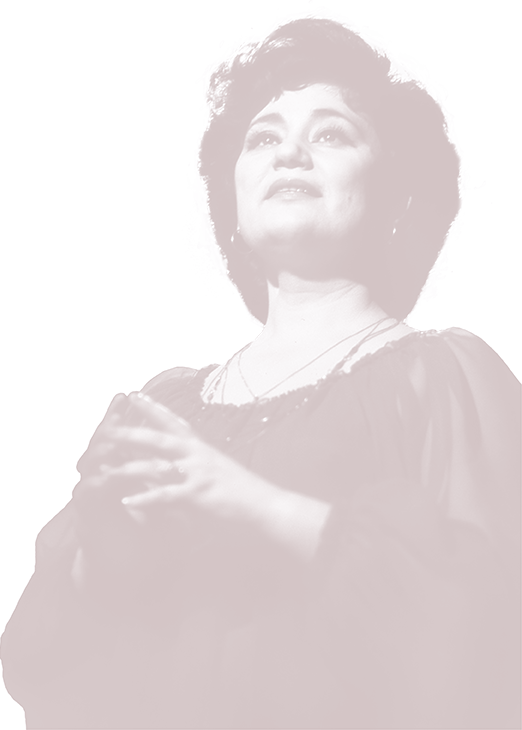 In the heartbreaking finale, Gilda reveals the reasons that made her substitute herself for the Duke in order to save him and expires asking her father's pardon. 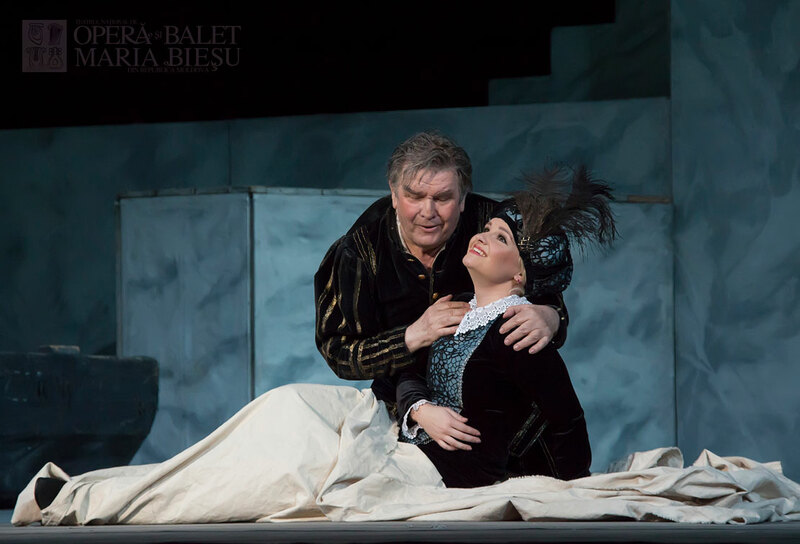 All that is left for Rigoletto is to cry: "Ah, the curse ". World Premiere: 11 march 1851, Teatro La Fenice, Venice.